On the hunt for that perfect used car? 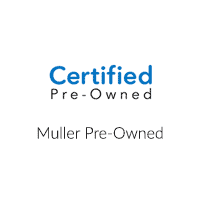 When you choose a pre-owned vehicle from Muller Honda Pre-Owned, you can trust that whatever make and model you choose has been thoroughly inspected for quality. Better yet, we have a variety of used car specials available so you can feel good about what you choose to drive home to Arlington Heights. After you’ve taken a look at our pre-owned vehicle specials online, be sure to contact us to make an appointment and visit us in person! We look forward to getting you behind the wheel of a pre-owned car you’re excited about for a price you’ll love. Want to make your vehicle even friendlier on your wallet? Consider trading in your vehicle. We appreciate your interest in our inventory, and apologize we do not have model details displaying on the website at this time. Please fill the form out below and our team will quickly respond, or, please call us at (847) 831-4100 for more information.